It's smooth sailing towards professional development for Oxnard School District teachers. The district launched their PD game, SAIL, this month -- and over 1/4 of the staff has already started playing! 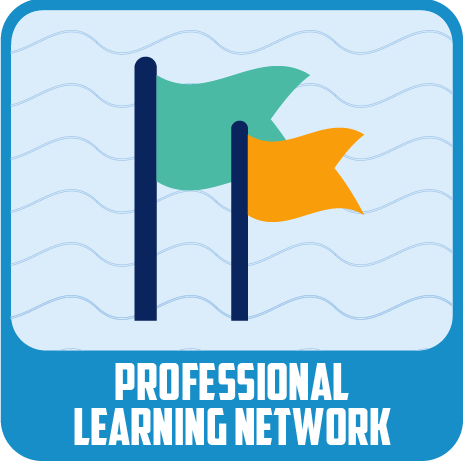 OSD is giving a nod to their coastal location with the nautical-themed SAIL game, which stands for Self-directed Active Individualized Learning. With levels named for the local Channel Islands, game designers have created an experience around exploring and setting sail on a voyage towards more skills and deeper pedagogical knowledge as they travel to each island. Alludo partnered with the district to help design and author game content as well as support their program moving forward. But the partnerships don't stop there for OSD -- the district is also working with PDLN (Lesson Planet) to offer educators online courses for university credit hours. SAIL encompasses a ton of topics, including digital citizenship, pedagogies and PLNs. Because the district uses Google, Apple and Microsoft, the game offers productivity and classroom training on the various platforms. It also covers other district applications, like MyOn Reader, Equitas’ Q and Renaissance Learning. OSD is also encouraging teachers to keep the wind in their sails. The first 100 educators to complete the first leg of their voyage (Level 1) will receive fun incentives like an opening day mug and other SAIL branded items that can be used in the classroom. Take a screenshot using your mobile device & computer. Identify what devices your are currently using in your classroom, and share which one is your favorite and why. What does it mean to be a digital role model? Do you consider yourself a digital role model? Why or why not? Define what blended learning is and be able to contrast blended learning classroom environments with traditional classroom environments. Explore AR360, a computer program that helps teachers and librarians manage and monitor children’s independent reading practice. Post on Facebook or Tweet on Twitter one of your favorite reads that impacted you as an educator and tag friend with a short recommendation of why they should try it. Follow Oxnard SAIL on Twitter!